HUGE: Salman Khan To Turn Detective In Yet Another Korean Remake? 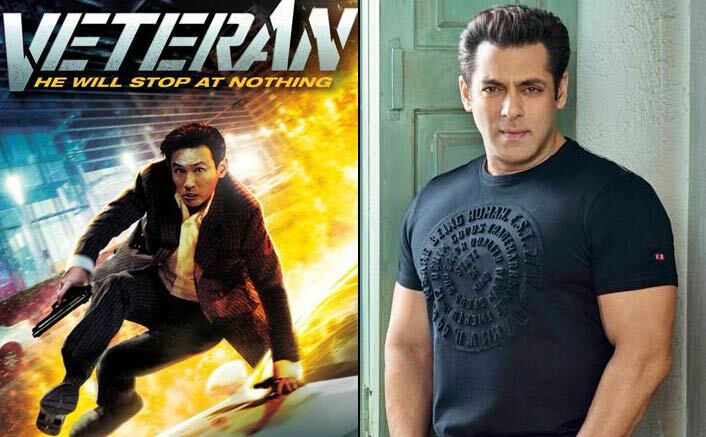 Home » Bollywood News » HUGE: Salman Khan To Turn Detective In Yet Another Korean Remake? It seems like after the debacle of Race 3, the beloved superstar is giving a chance of celebration with some interesting line up like Bharat, Dabangg 3, Kick 2, to name a few. The Dabangg of Bollywood, Salman Khan is undoubtedly the biggest star of the Hindi Film industry. Already jam-packed with several anticipated projects, there is one more terrific news for Bhaijaan’s die-hard fans. It is learned that Khan will play a detective in an upcoming remake of a South Korean movie. As per the reports in Variety.com, Atul Agnihotri’s Reel Life Production, has acquired rights of South Korean action-thriller, Veteran, for Hindi remake from the Korean production house, CJ Entertainment. While there is not yet any proclamation about the remake, it is being said that Salman Khan is to reprise the role of a detective played by Hwang Jung-min. Salman is currently busy with the shoot of Bharat, which is also an official adaptation of Korean movie, Ode To My Father. ’83: After Chirag Patil, Pankaj Tripathi Joins The Cast – Character Details REVEALED! Rohit Shetty – Farah Khan’s Upcoming: Shah Rukh Khan, Ajay Devgn Or These Actors, Whom Do You Want To See In Lead? Salman Khan, who has turned 53, says that his mother Salma Khan wants him to achieve a six-pack body as a New Year resolution. Salman was interacting with the media outside his farmhouse in Panvel in the midst of his birthday celebrations on Wednesday night. Asked about his New Year resolution, he said: “Four days ago, my mother told me that now this four-pack body will not be enough and she asked me ‘what is your resolution for next year’ so, I told her ‘nothing’ then, she told me ‘you have to achieve six-pack body’ so now that means, I have to be disciplined and I am doing that.